Greater Boston PRP procedures are growing in popularity. As we all aim to retain our youthful appearance, it is a helpful option to consider. Below is an overview of PRP, what it involves, and its benefits. PRP is an innovative treatment for hair loss, acne scars, fine lines, and textural irregularities of the skin. PRP is plasma with many more platelets and platelet-derived growth factors than what is typically found in blood. Because platelet-derived growth factors have substantial regenerative effects, PRP has evolved with a wide range of applications in dermatology. The efficacy of PRP in acne scarring and hair loss increases when the procedure is combined with other minimally invasive procedures such as microneedling. PRP and combination therapies are available at GK Dermatology. The number of treatments depends on the type and severity of the skin problem. The average is 3. Improvement is usually seen over a period of months. Dr. Kroumpouzos discusses the recommended aftercare prior to the procedure. To develop a PRP, preparation blood must be drawn from the patient. Then, the platelets are separated from other blood cells via centrifugation. The increased concentration of platelets is then combined with the remaining blood. The preparation is injected into the affected skin areas. At GK Dermatology, we provide Greater Boston PRP procedures at our Weymouth, MA dermatology office. We offer a modern, clean, and welcoming environment for your procedures. Contact us to learn more about PRP procedures and our many other dermatology services. 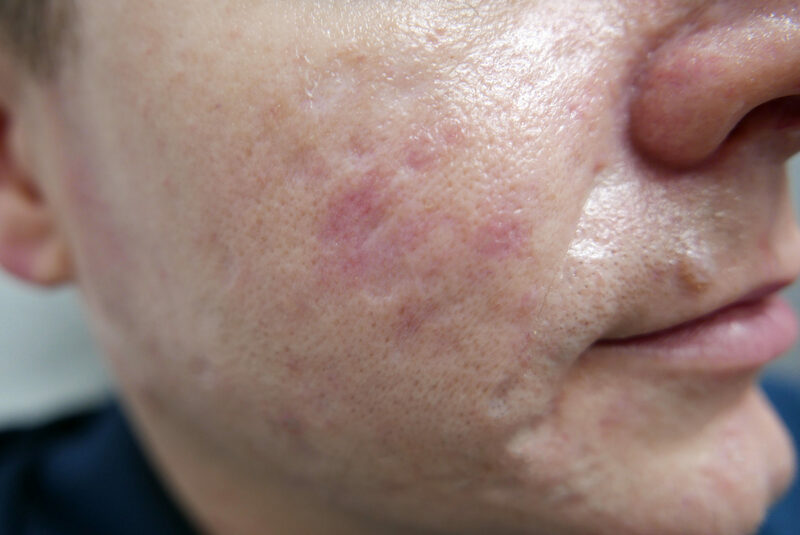 The PRP treatment pictured above was preceded by microneedling in the same treatment session.